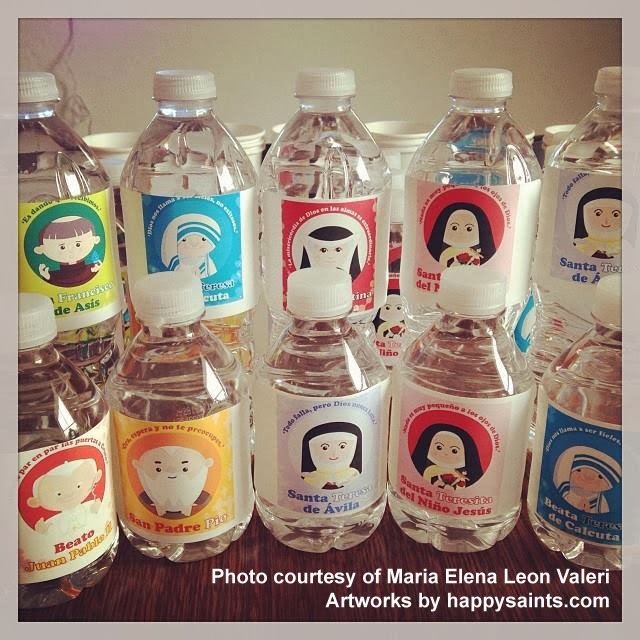 Happy Saints: Happy Saints Water Bottles! Thanks for sharing this fun idea, Maria Elena Leon Valeri! Remember, you can use these ideas for other occasions, not just All Saints' Day! There are Happy Saints ebooks for every season... Christmas, Lent, Rosary etc.